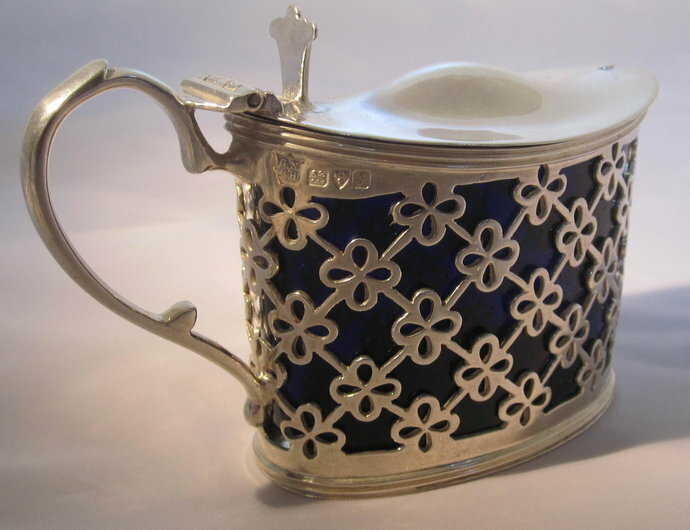 the body decorated with pierced flowers, having a plain hinged lid and delicate scroll handle. There is a full set of clear hallmarks to the upper body as shown in the photo (makers mark, lion passant, town mark and date letter). The date letter and lion passant are also clearly displayed on the inside of the lid. Original removable blue glass liner in good condition.